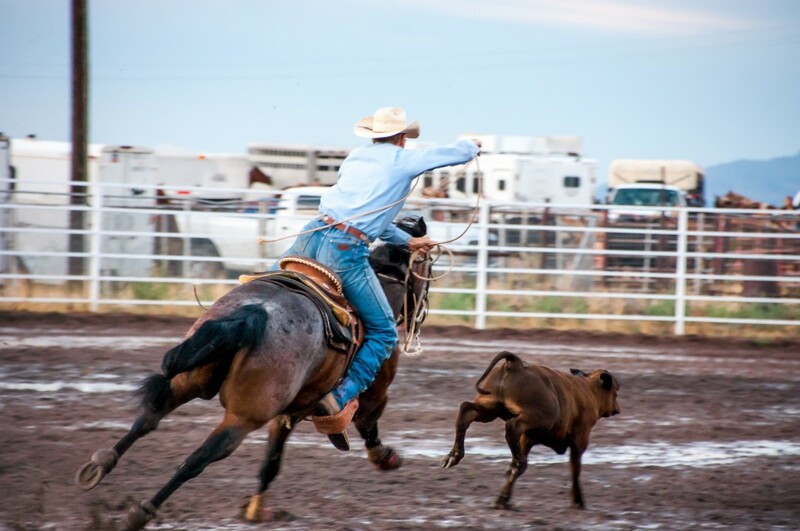 ENTERPRISE—The three-day amateur rodeo held in Enterprise yearly ended last night. 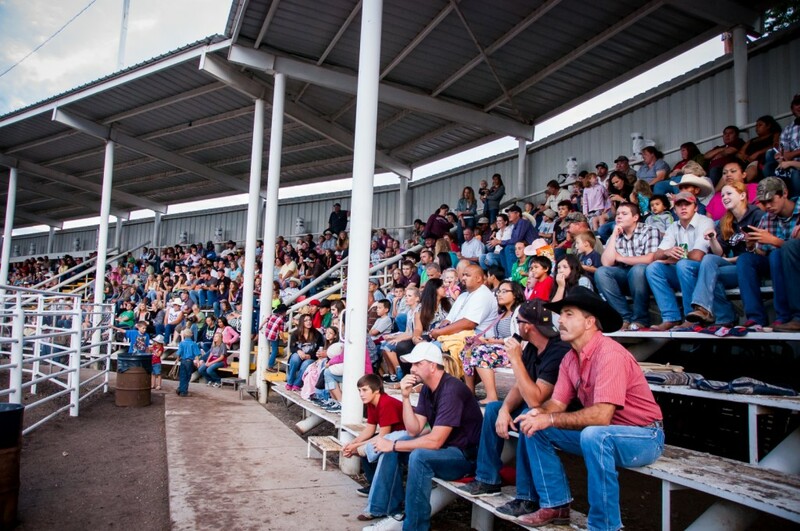 The crowd was entertained with music, bull riding, calf roping, barrel racing, team roping and the rodeo royalty. The rodeo, which ran from July 25-27 at 8 p.m. nightly, attracted an average of 200 contestants each evening that competed for prize money and were cheered on by approximately 6,500 fans. The stands were filled with families. “It’s a family-oriented event,” Brittany Jenkins, a woman in the stands, said. 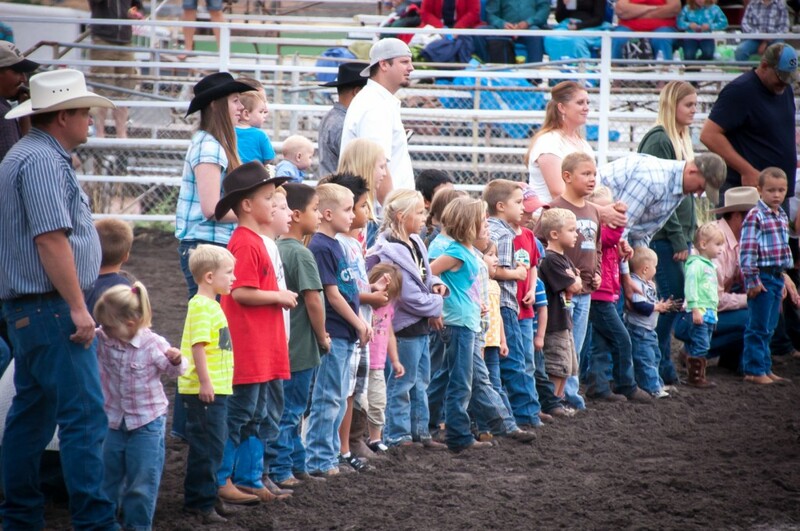 The rodeo opened with junior calf roping, and was followed by a chicken chase, the girls breakaway, and women’s breakaway. A watermelon race with donkeys provided the most laughs for the stands as teens – muddy from head to toe – chased after donkeys and mostly failed to mount them and gather watermelons and return them to the gate. 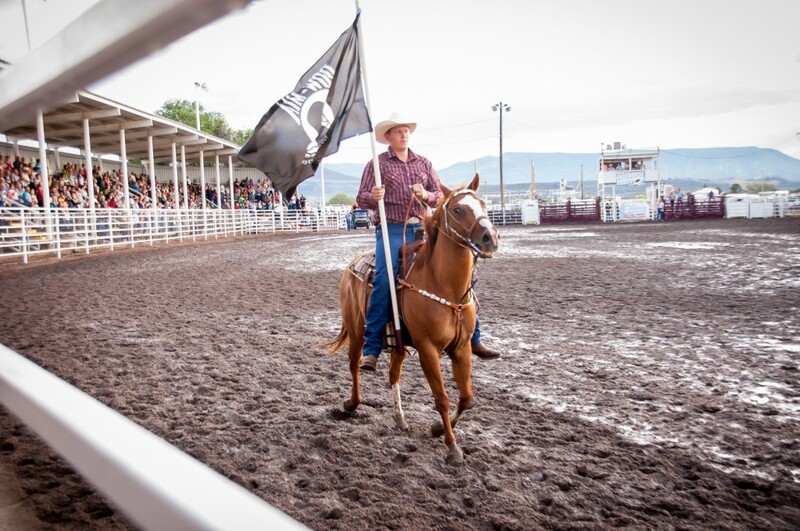 After a humorous interception, teams of two men performed the ribbon rope followed by barrel racing by juniors and adults and mixed-team roping. Nearly 10 men mounted the bull, but by the end of the night only one made it eight seconds, Kurtis Turner, who returned from his mission the night before. He scored an 81 out of a possible 100 points, and his bull was the only one to put on the show by knocking over the barrel clown and chasing him around like a soccer ball. 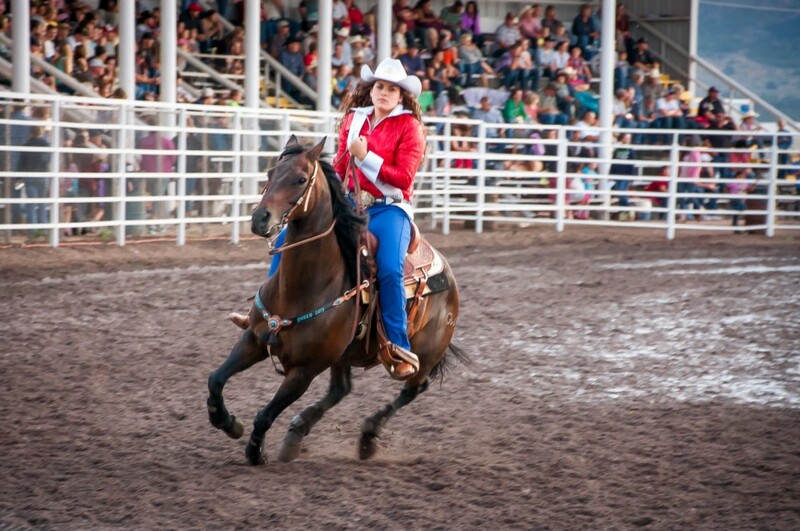 The 2013 Miss Rodeo Royalty made appearances throughout the night and consisted of second princess, Cameo Jo Vogel, 11, first princess McKinley Drake, 13, and Brittney Fisher, 17, as queen – all from St. George. The event was announced by Kalvin Bowler and the barrel clown was Jared Stores. 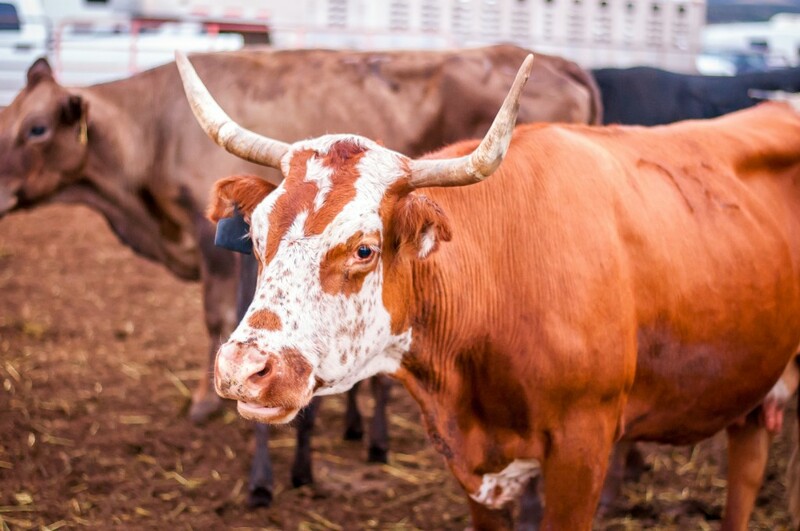 Livestock was provided by Veyo-Gunlock Cattle Association.